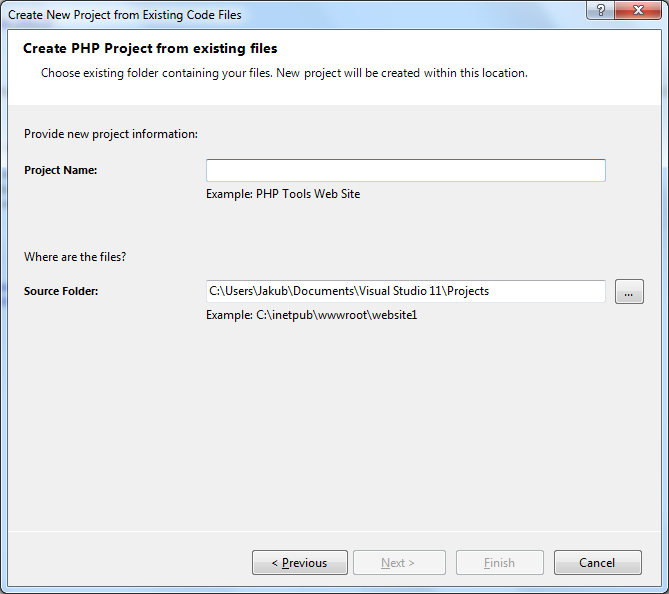 If you already have a folder with existing PHP code files, it is easy to create a new PHP Web Project in this folder containing all files. 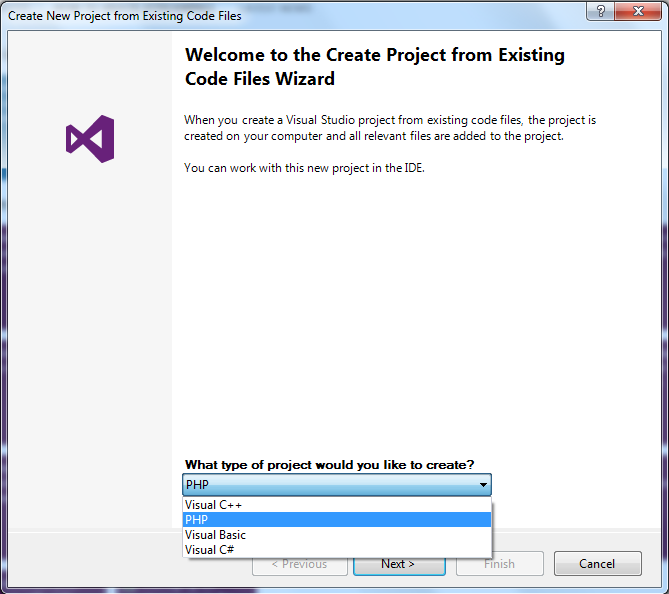 Go to File | New | Project From Existing Code... (if available). This will display the following wizard. Choose a name for your new project, the root folder containing the existing code, and a filter to ignore specific file types. 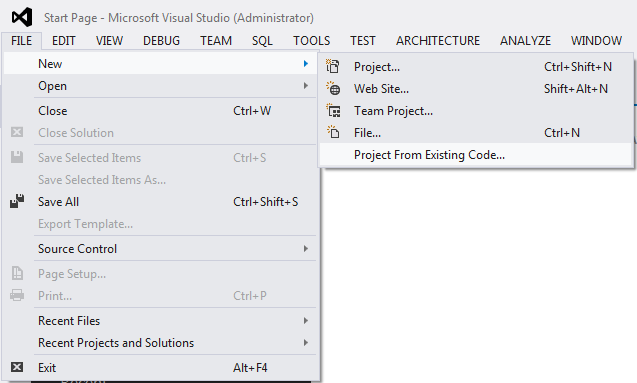 Click Finish, Visual Studio will create a new project (.phpproj) in the folder you specified, containing all the files within this folder. In case your folder contains composer.json file and you are missing the required packages defined in the file, the following dialog will appear, asking for your permission to download the package into your project.